Press Releases | Signature, Inc. The leadership of Signature, Inc. announced the recent opening of their new office in Northern Jersey. J.T., one of the firm's esteemed associates, will be spearheading this expansion. Signature, Inc.'s President described the recent conference in Dallas and the benefits it offered team members. He also highlighted the firm's goals for 2019 and how travel makes them more achievable. Signature, Inc.'s President discussed JP M.'s recent promotion to run an office in a bustling new market. He also outlined a few key leadership behaviors that get people noticed and promoted. The President of Signature, Inc. discussed the firm's expansion into Philadelphia and the benefits of entering new markets. He also highlighted a few traits that make people promotable. 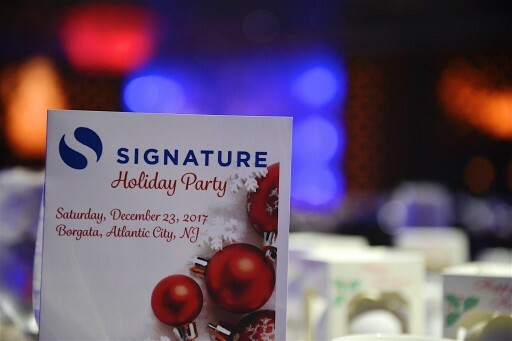 The President of Signature, Inc. announced that once again, the team helped raise funds for a cause that's close to their hearts: The Tom Coughlin Jay Fund Foundation. Together they raised $25,000 for this organization. Signature, Inc's President discussed a prestigious designation the firm earned from Fair Business Report. He also detailed a few philanthropic events that bolstered the company's case for being honored. Our party featured live entertainment, a photo booth, and a fantastic dinner.